Series Q piston pumps offer excellent repeatability over a lifetime of low cost maintenance - pump heads have a typical service life in excess of 50 million cycles, making them ideal for continuous duty dispensing. 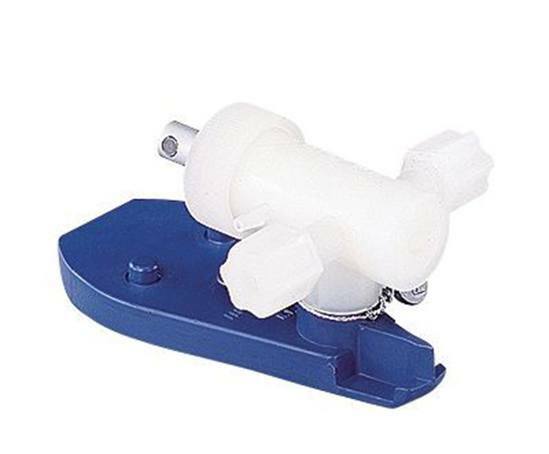 The pump systems comprise a piston pump head and a fixed speed motor. Flow rate adjustment can be made by turning the flow control knob on the pump head assembly while the pump is operating or at rest. The pumps have no valves to clog up or service, and achieve a high accuracy, better than ±1%. For high-accuracy adjustment, the dial indicator kit 07104-98 can be used, which allows the user to view the percentage of maximum flow in 1½1000 increments.